There are few poker players in the world who need no introduction. Chris Moneymaker is one of those players. His legendary, groundbreaking win at the 2003 World Series of Poker Main Event was among the catalysts for the original poker boom and was directly responsible for millions of new players trying out poker for the first time. 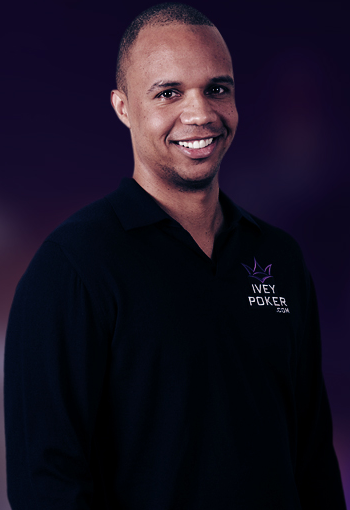 He memorably won a seat into the 2003 WSOP Main Event via a satellite event at PokerStars, which he still proudly represents today. Chris is also an ambassador for the Hollywood Poker Open, where he continues to represent the game we all love and draw in more new players all while ensuring they have a memorable, fun experience at the tables. 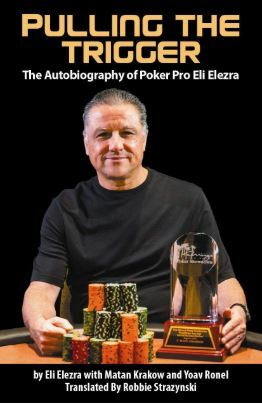 Editor’s Note: After having done interviews with Joe Hachem and Martin Jacobson, it’s especially gratifying to now be publishing our third interview with a World Series of Poker Main Event Champion. Thanks so much Chris for the opportunity. 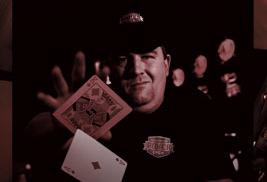 This is Jon Sofen with CardplayerLifestyle.com. 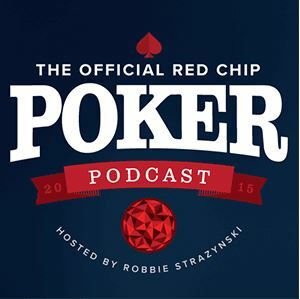 I’m joined by the 2003 World Series of Poker champion, Chris Moneymaker. He is an ambassador and the face of the Hollywood Poker Open [the Main Event of] which takes place in Las Vegas on June 26th at the M Resort. Chris, thank you for joining me, how are you? I’m doing great Jon, thanks. How are you doing? I’m doing good, thank you. I want to start out by talking to you a bit about the Hollywood Poker Open and your involvement. For those who don’t know, the HPO hosts tournaments all over the country throughout the year with the championship event in Las Vegas later this month. Chris, how many players are you expecting for the $2,500 championship event? Last year we got around 700 players. I was the ambassador for Season 2 and we just wrapped up Season 3. We saw [year over year] growth at each stop, with the field pretty much doubling at each stop. So I expect us to get anywhere between 1,000–1,500 people in the main event. We’ve got a $2 million guarantee. 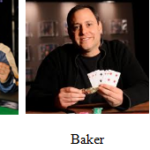 Being the ambassador for the Hollywood Poker Open, you are the face of the organization. Do you feel any pressure for the success of this poker tournament, which is now in its third season? I don’t feel any pressure. I have a lot of input in terms of what goes on with the tour. After each season we sit down and brainstorm ideas and listen to player feedback. I look at our competitors in the market today and who we are competing against and I just see that we have better structure, better dealers, etc. So if players come out and play in our event, I’m confident in it. That’s why we’ve grown so much over the last two years. Everybody that comes out has a good time. Our tour is a little bit different than some of the others. I just think it’s a bit more lighthearted; there’s a lot of chatter in the room. Even right down until deep into the money, most of us are still joking around. So it’s a much more fun experience, whereas if you look at some of the other tournaments everyone’s got their headphones on. I mean, there are guys who obviously take it really seriously, but for the most part our audience is guys in their mid-30s who come out and play and just want to enjoy themselves. Our floor staff and dealers are top-notch, so I’m really happy with the product that we put out there. I believe it’s going to succeed. We’re late to the part as far as tournaments go, as we’re fighting against tournaments that have already been established, so we know that we have an uphill battle, but I think we’re winning the war and I hope that next year we’ll be even better. We’re hoping to extend some of the series out into the fall and try to make it more of a year-round series. Right now, we’re very much a spring-type series, so next year I’d look for us to start out a lot earlier and run through the fall all the way up until and through the spring. 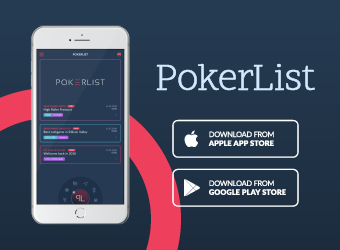 You’ve played in many big poker tournaments over the past dozen years. I myself just played at the WSOP for the first time and I cashed in the Colossus. So, for a player like myself, which is sort of the type of player you said you’re trying to attract, how does the HPO compare to, say, the WSOP and WPT in terms of entertainment value? Well, first of all, you’re not going to have a three-hour wait to register for the event. They do a really good job with moving people. Even last year when we had 700 people, which was our biggest event of the year, there were hardly any lines. Restrooms, on breaks, were pretty easy to get in and out of. The things that you deal with at the World Series, you’re not going to have to deal with at our property. A poker tournament is a poker tournament in general, but the fact that we give so many seats to slot players, to $1/2 players, to recreational players, it feel like a much more engaging, festive, people who are there for the first time in Vegas-type of experience. The level of play is similar to what you might find at the Colossus. There’s a good mix of pros and amateurs. 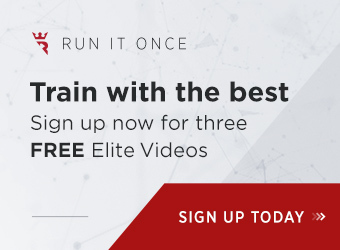 It’s really similar to what you’d find play-wise at an up to $1500 buy-in event at the World Series of Poker except that you’ll get 2,500 in chips and the structure is going to be better than what you would be playing at any WSOP event. Holding the HPO Main Event at the same time that the World Series is going on – was that a strategic decision? Do you think you get more players because more people are in town or does the WSOP going on during this month actually hurt attendance? I don’t think it hurts attendance at all. There are so many poker players out in Vegas during this time and a lot of them just can’t afford the $5,000 and $10,000 price points that you run across at the World Series all the time. A lot of other places have tournaments going on at the time; there’s a lot of choices when it comes to tournaments at that time. We chose a weekend that I think it’s the Seniors event, if I’m not mistaken. We specifically chose a date that there’s no Millionaire Maker or Colossus event going on which gives us the best opportunity to get those players. It’s a good rest stop; you get out of the Rio, you get away from the Strip to a different environment. It’s definitely a good break and I think we all feel it’s a good fit for this time of year. We might move it to the fall for next year, but I think the placement of it is good as far as the time. Again, we’re open to anything that our player feedback gives us in order to give them the best experience and us the best numbers. Everyone has been happy with the finals, we’ve gotten some very good numbers, so I expect the main event to have some really good numbers. Right, so obviously the 2003 Main Event title is what you’re most known for. Your heads-up opponent, Sam Farha said years ago your big bluff was the ‘worst bluff of the year’. It’s been 12 years since that day and you’re probably not the same poker player as you were back then. Do you now consider it too risky of a play or would you still make that play in that situation today? Sammy’s a longball player and he likes to play big pots. But given the experience factor, he knew he could wear me down, which was pretty accurate. He just didn’t want to be risking his tournament life without a made hand. He didn’t want to go down getting eliminated from the Main Event calling with one pair. I really had a feeling that wasn’t going to be his MO. He knew he got bluffed and I knew he was steaming. I knew that during the next five hands if I picked up a hand, you could just read it on his face, he was ready to explode. Basically, I thought it was a good play. If you had put him on top pair, would you still make that play? Yeah, I believe so. I mean, I put him on middle pair with like the ace of spades. Back then you never really assigned ranges to people, you just sort of put someone on a specific hand and went with it. I knew he didn’t have a flush or straight and that he didn’t want to go broke to an amateur on that stage. Him making that call and being wrong is a lot worse for him than folding and being right. It was a different game back then. Today’s game, how I played the hand, most people would’ve looked me up. I’d play it differently now. But it was a good play for that moment in time. 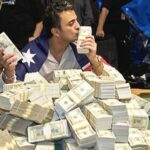 If Farha calls that bet, how much different is poker’s popularity right now? Well, that depends. If he calls, he’s got a 2:1 chip lead, but he still hasn’t knocked me out. I’d have an uphill battle, but it wasn’t over yet. Poker has obviously grown. I think you might still be able to play online poker, it wouldn’t have grown as fast. Maybe we’d see more of a gradual growth rather than the explosion we saw in ’03. Everyone has figured it out that poker is a great game. Maybe Raymer would’ve been you? Well, I don’t know. I mean, the year before I won an amateur named Robert Varkonyi won and there was no poker boom. I think the thing was that people really just didn’t relate to him. He was an MIT guy. Greg is one of my best friends, but I think he also sort of falls into that category; he’s a smart guy, much smarter than me; he’s a patent attorney. I just sort of relate better to your average, everyday person. People who saw Varkonyi or Raymer win, maybe they’re thinking you need to be really intelligent. But you look at me and you see some old hick from Tennessee. Have you played with or bumped into Farha much over the years since the 2003 Main Event? I played with him one time in a PLO cash game for about 10 minutes, then he had to take off and go somewhere. We then had our rematch several years later (see clip below). We did a charity event up in New York together, spent a lot of time together and hashed out our differences. We’re not friends but we’re not enemies. There was mutual respect there. There wouldn’t be my moment in time like that without Sammy. Sammy played the villain perfectly. Tomer Benvenisti, even Dan Harrington… they didn’t look the part. Sammy was old Vegas. I’m going to put you on the spot here. 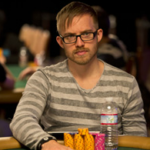 Who is the best poker player to win the Main Event since and including 2003? Haha. It’s obviously Chris Moneymaker. Seriously though, I’d have to pick Greg Merson. He’s a heck of a player. He was a good online player and a good cash game player; just a good overall player. You obviously are and will always remain a big name in poker because of how your Main Event title spiked the poker boom. I think everyone in the poker community acknowledges what your win meant to the game’s popularity. But do you feel the top poker players in the world don’t give your poker game enough respect? Not really. If they don’t, I don’t really care. I’ve never considered myself a full-time poker player; I’ve never traveled the circuit. I mean, they’re all out playing at the World Series right now. I’m sitting here changing a diaper J. Overall, I’m happy with the decisions I’ve made though. There aren’t many people in poker who have families. 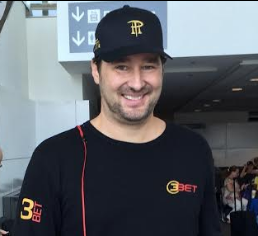 Phil Hellmuth is probably one of the few professional poker players who is married and has a successful relationship. It’s not easy to find a woman who’s onboard with all the commitments required of a professional poker player. So winning more titles at the WSOP or the WPT, is that important to you? Honestly, no. I’m a competitive person, no matter where I play, be it a freeroll or the main event. I don’t have a life goal to win another bracelet or anything like that. If I did, I’d be out in Vegas working towards that goal. Honestly, my goal is to be a good husband, be a good dad, bring up good kids, and enjoy life as much as I can. Part of that enjoyment is playing poker on my own schedule, when I want to. If I had to go and play every single day, I wouldn’t be a very happy individual. 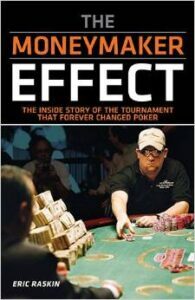 Eric Raskin released The Moneymaker Effect last year – for those who aren’t aware, it’s an oral history of the happenings surrounding Chris’ Main Event win back in 2003. Robbie Strazynski, founder of Cardplayer Lifestyle, actually reviewed the book last year. Chris, what’s your take on that book? I read some of it, not the whole thing. It sounds like he really went out and got a lot of different perspectives on it. He interviews people who I wouldn’t even think to interview. 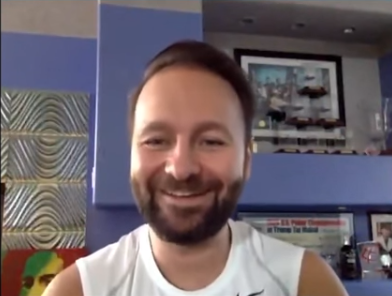 He gives a good broad picture on what was going on at the time, what poker was like, and you can see the huge contrast between what poker was like back in 2003 and what it’s like today. You can see what people thought about me and how that’s different from how I see myself. 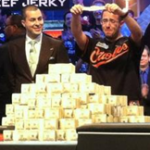 I think many of our readers and listeners want to know, which WSOP events do you plan on playing this year? I haven’t even looked at the schedule yet. Well, I’m flying out to California to promote online poker for PokerStars on June 22nd. I fly from there to Vegas on the 23rd. So I’ll have two days before I play the HPO main event on the 26th. That whole weekend is pretty much dead, but thereafter I’ll probably play in a couple of events over the following few days. I won’t be playing in the $111K event though. I have no equity in that tournament. If I don’t play a single WSOP event because I think there’s better value at the Golden Nugget, I’ll go to the Golden Nugget. Obviously July 5th I’ll be at the Rio playing Day 1 of the Main Event. Has your poker interest declined or grown over the years? I think it declined a bit at first and then it’s gone back up over the years. I think the HPO has a lot to do with it. I can decide to play whenever I want now, which is just great. 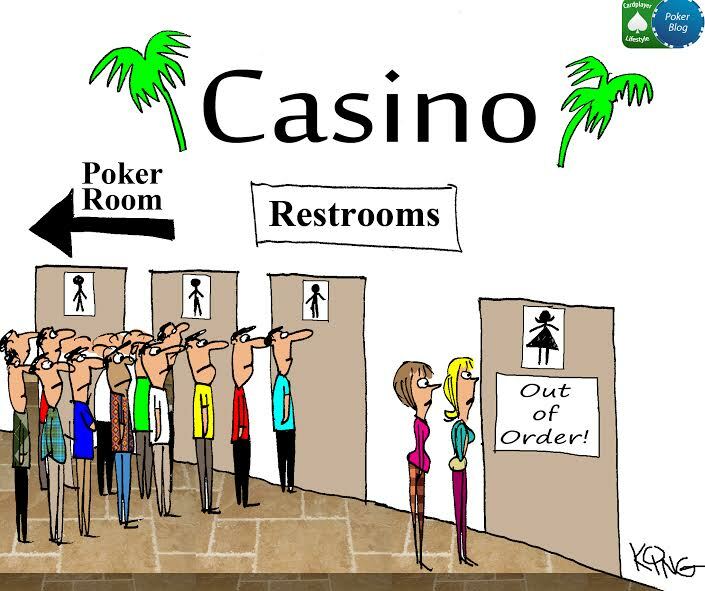 If I had to go and play at the Rio or on the circuit, I just wouldn’t enjoy it. All those people with their 5-betting and headphones; that stuff just isn’t fun. Poker is supposed to be fun, something where you interact with people at the table and vice versa. On behalf of Cardplayerlifestyle.com, I’d like to thank you for chatting with me today, Chris. Good luck at the Hollywood Poker Open Main Event and at the WSOP. I’ll see you at a final table somewhere soon, but I should warn you. I’m not going to fold my pair of 9s when you brick the river. Hehe, well, I’m not gonna chop either. 🙂 Take care. 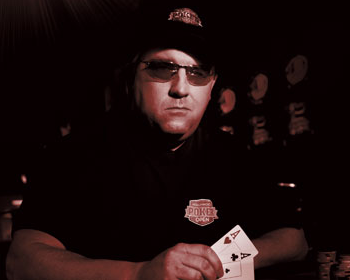 Jon Sofen is a dual-occupation, Las Vegas resident. His Sales Copywriting business has taken off the past few years and he has been schooling donkeys at the poker table since 2003. Jon eats, sleeps and breathes poker. He plays in Vegas casinos and online. That is, of course, when he isn’t busy building awesome websites like www.lasvegaspokercircuit.com.